Elite Site Works are here to help you get your mind out of the gutter. When your gutters are filled with leaves, sticks and other debris, it can lead to water damage, mould, and rust. In addition, it can become a fire hazard, and a nice home for unwanted pests. We recommend having your gutters cleaned a minimum of every 12 months, or if your roof is highly susceptible to collect debris we recommend 6 monthly. Plugging up downpipes to ensure no debris will block up. Safely accessing the roof either by ladder or an Elevated Work Platform. Safely anchoring to high level rooves. Cleaning out all debris from the gutters into our bins. 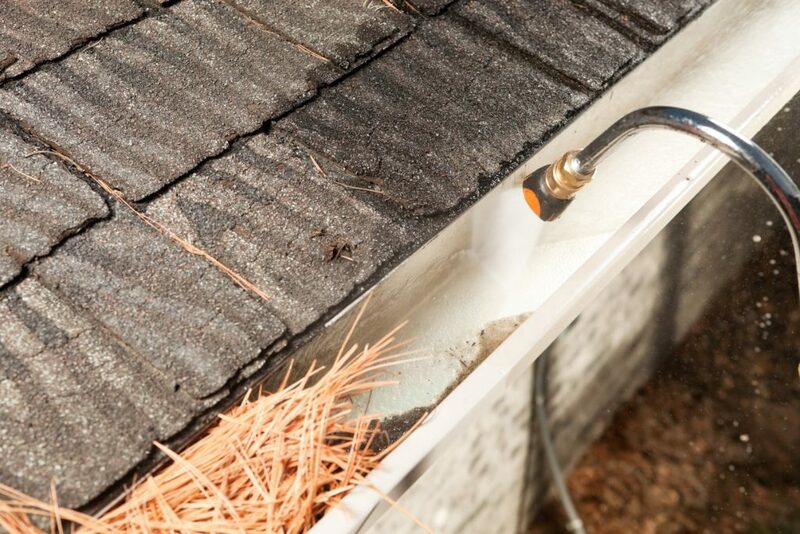 Wash out the gutters with fresh water. Disposal of debris if no area is available to do so at your home or building. Works are carried out by a qualified tradesman, certified in working at heights. Ask us today about discounts available! Copyright © 2019 Elite Site Works. All Rights Reserved.